we're dedicated to quality and a local approach. We offer organic coffee and tea, sulfate- and nitrate-free meats, RI-farmed eggs & poultry, fresh salads, gluten-free items, and pastries made right on site. Think of us for your next catered event! Copyright ©2018 The Blue Kangaroo Café. 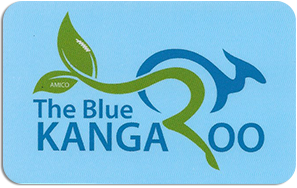 Blue Kangaroo is a family-owned business.